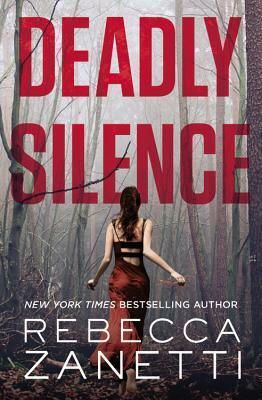 Deadly Silence (Blood Brothers #1) by Rebecca Zanetti. Audience/Genre: Adult, Romantic Suspense, Paranormal. Publication: October 4th 2016 by Forever. OK first: There is so much action that you can’t put it down! I found my own heart pumping with adrenaline! If you aren’t careful you won’t see what hits you next! For those who have read the Sin Brothers series: We get to see those brothers at the end of this book! Woot Woot! Ryker and his two “brothers” own a company that finds lost people. He knows that his brothers and he have some unusual abilities but don’t know exactly why. They were all raised in the same boy’s home and were tested by a woman doctor on their mental and physical capabilities. They were also beaten a lot. Then one day (you have to read more about why they did it) they put the whole place on fire and ran away. They have been together as family ever since. They don’t form other attachments since they are always on the run. While working on one case, a young boy comes in after hacking their system and demands they find the same doctor that raised them but with a different name. This boy also has some strange abilities as well. They don’t want the case but after being blackmailed by the boy and they see his abilities they offer him sanctuary and take the case. He comes with some serious baggage. But he kind of tugs on my heart strings. Ryker finds himself getting serious with this one girl, Zara. He knows he should break it off but he can’t help how his heart feels. Zara is a paralegal and is on a divorce case of a friend of hers. She is getting herself into trouble by helping her friend as her husband is whom the law firm is representing. Zara quickly finds herself way over her head and Ryker finds himself trying to help her. So there are several cases going on at the same time and they all need some action time! It is exhilarating to go from one action to another and wonder how long they can keep it up; shoot I’m exhausted just reading about all the stuff they have to keep up with! This is Ryker’s story and I’m looking forward to the other brothers’ stories and see more of the Sin Brothers too! If you like mega action, superhuman abilities, The Sin Brothers series, fighting scenes, Legal issues, helicopters, bad PoPo’s, and finding love than this might be for you! Thanks to the publisher for a copy in exchange for an honest review. The opinions are my own.